Without advertisement, we are not able to achieve the goal in the market. 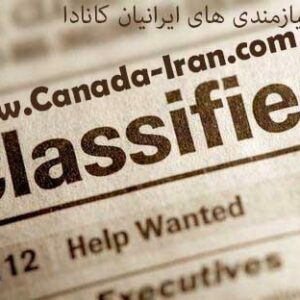 There are many Iranian and Persian language citizen in Canada and www.Canada-Iran.com is the best place for a chap advertisement for your product and services. you pay just $2 for each day for all places! ۱- Free banner design (Persian or English Language) if order more than 4 months. ۲- Free page in Canada-ads to Persian language about your product and service for free if order minimum one year order.